Before this project gets too far out of the station, it's time to invest some time thinking about readability. This book is going to be data-dense. You want consists and train detail, you're gonna get it. But it's gotta be readable. Nobody should have to break out a magnifying glass, and the book shouldn't be so big that a cart is needed to move it. At this point, I'm getting two months worth of consists on one page. At that rate, ten years of VIA is sixty pages. More years will mean more pages. One thing is for sure, it'll be packed as full of consists as I can get it. There will be some text to break things up visually. I'll be thinking about column breaks, bullets, shading, font size, all that nuts-and-bolts stuff that separate a readable book from Excedrin headache number 37. 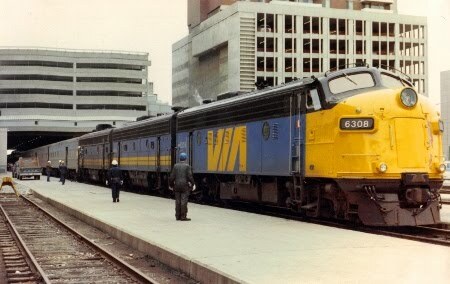 But oh, those 1981 Canadian consists are AWESOME! Highball.